Leading loggers in Canada & USA have been quick to take up new mechanised harvesting machinery for forests on steep slopes. Now a new set of remote operation technologies is set to be unleashed. Labour and safety gains will result and productivity will follow. These new operating systems are already proven in mining operations. The early adopters will make the greatest gains in logging when they take advantage of this new technology. On the horizon are prototypes nearing commercial scale in automated yarder tree felling, remote and fully hydraulic controls to run more equipment more easily and with less people on the ground. Logging crews will be much smaller as a new generation of machine control technologies comes to market. The ability to control machines remotely (both on and eventually off-site) will bring even more safety to logging. With no men out on the steep slopes where tree stems are being accumulated, they can’t be injured. For innovative contractors, they will gain a double advantage as young people adapt to these new ways very quickly. These innovations and the people who are driving them will be among a range of international technology and operations speakers at the HarvestTECHX 2019 Conference in Vancouver in March. These, and other proven industry developments, are at the core of the 2019 “HarvestTECHX” Conference. It runs on March 13 at the Sheraton Vancouver Airport Hotel in Richmond, BC. Delegates are also invited to an evening welcome reception on March 12. Register at: https://harvesttechx.events/. On March 14, limited places are available for an in-forest workshop hosted by BC Forest Safety Council and WorkSafe BC on steep slope safety guidelines and practices. Register your team by Thursday February 14 to get Early-Bird rates. 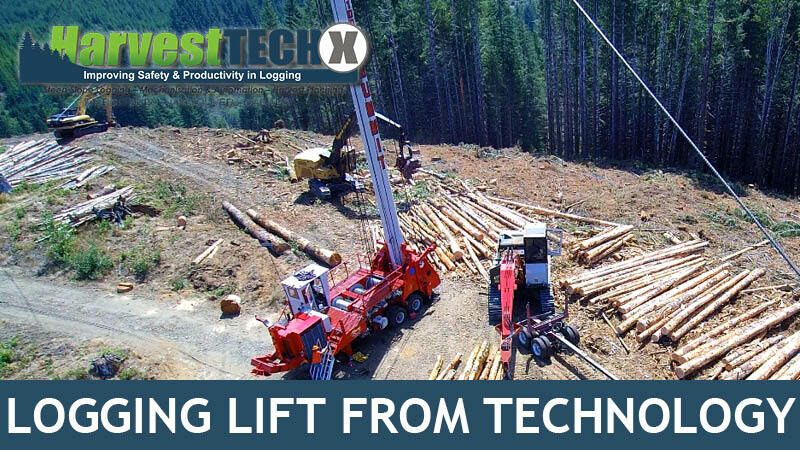 Registrations are already pouring in as loggers and logging managers prepare for the next phase of technology breakthroughs in the forest. This biennial meeting is very popular; it sold out last time we ran it in BC in 2016.